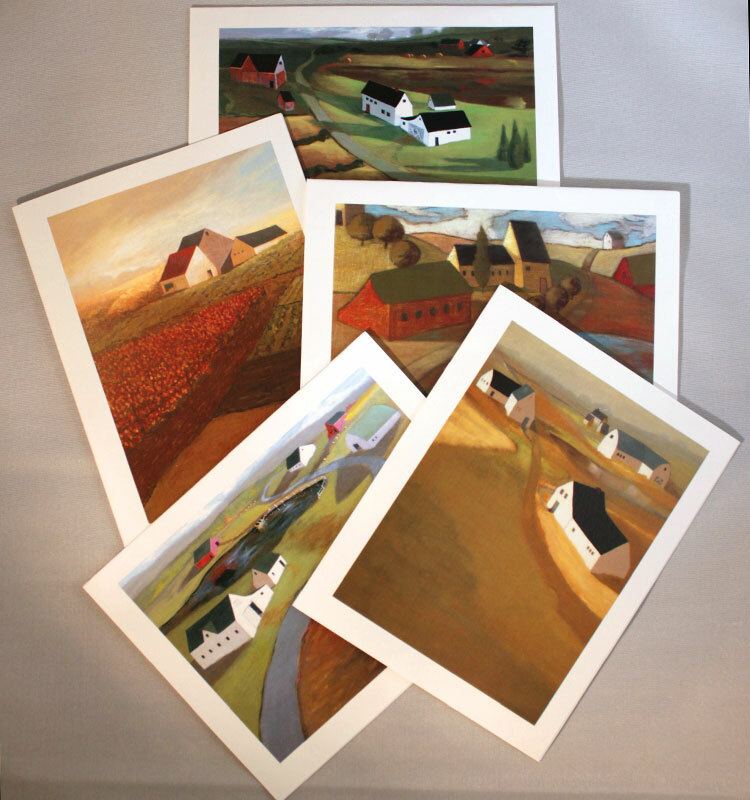 Each package of note cards contains 10 cards & 10 envelopes, 2 each of 5 different original paintings by Bob Ferrucci. 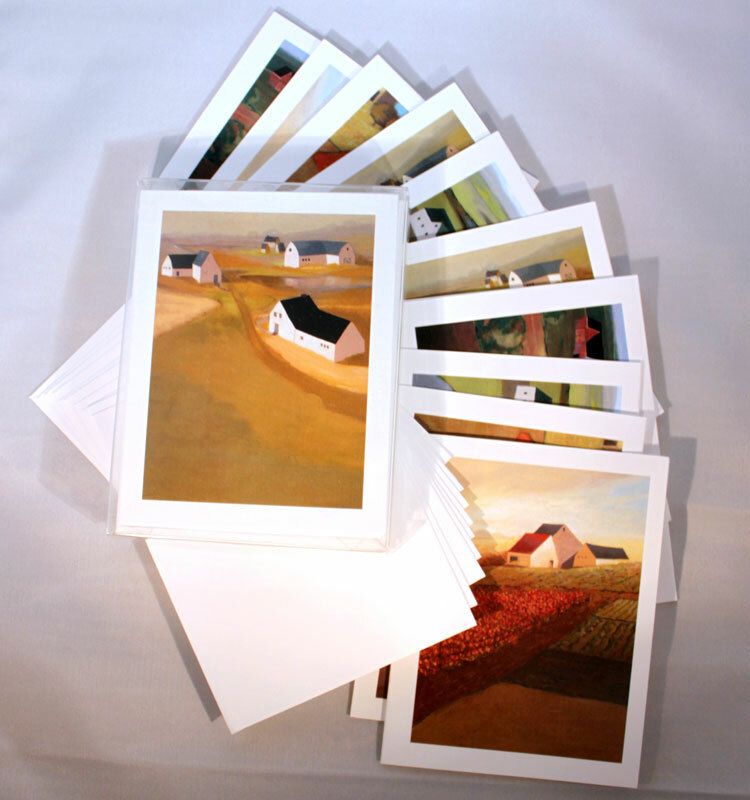 Cards are blank inside and measure 5 1/2″ x 4 1/4″. Perfect to use as thank you notes or to stay in touch with family and friends. 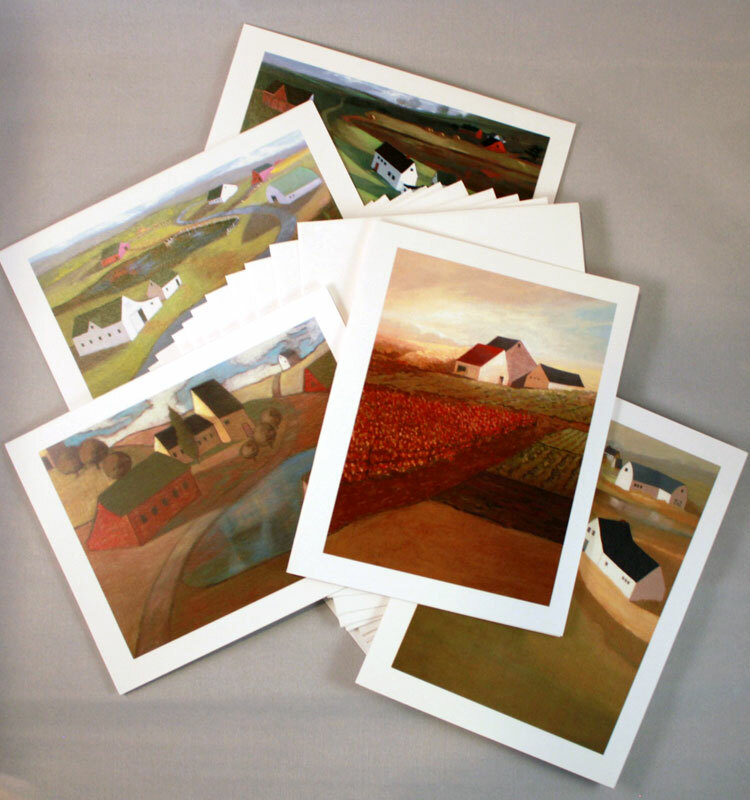 Package of Artist Note Cards contains 10 Cards & Envelopes – 5 different pictures 2 of each.